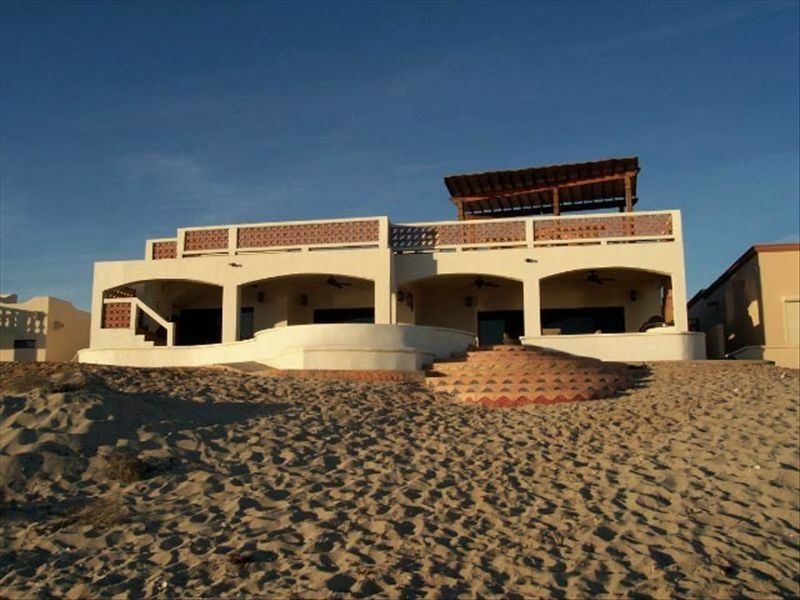 Our Premiere Hacienda Style Mexican Beach Home has just recently been remodeled with NEW BEACHFRONT sliders. This is the most beautiful Casa in Playa Encanto. Lovely interior garden patio with fountain, boveda ceilings, uniquely designed tile, and furnishings beyond imagination. Pool table, flat screen TVs every room, pool table and pingpong. This is truly a family vacation beach home with all the amenities. We have Mexican charcoal to cook the steaks or tequila shrimp on, as the rest of your family enjoys the sunset around the fire pit extended over the beach. TOM AND I BUILT CASA SAN MIGUEL. WE NOW MANAGE THE HOME FOR OWNERS AND RENTERS. MOST IMPORTANTLY, YOUR PROPERTY MANAGERS LIVE ON THE BEACH TOO. THIS IS A HUGE PLUS WHEN COMING TO MEXICO FOR A TRANQUIL BEACH VACATION. HUGE GRAND KITCHEN WITH 2 LARGE REFRIGERATORS AND AND 1/2 FRIG FOR DRINKS AND BIG BREAKFAST BAR. HUGE CUSTOM DINING TABLE THAT SEATS 12! Our group has had the pleasure of spending every recent New Year's week at Casa San Miguel. We have a wonderful time, with great views of the beach, and welcoming hosts. Carol checks in with us to make sure we have everything we need, is very prompt if there are any questions, and tells us the best places to eat and buy seafood. We make wonderful meals in the grand kitchen and all sit down to eat on a beautiful custom made dining table. New Year's is great- a parade on the beach and buffet breakfast at the Mayan Palace. Town isn't far for food and activities, then we relax and enjoy the breathtaking sunsets with margaritas around the firepit!! Everything is there for you to have a relaxing trip with your friends and family. We've come there the last few years for New Years or 4th of July. Looking forward to this year's fun!! Whenever you go, Casa San Miguel is a great place to bring a large group of friends and family.